You've always wanted to be a clown, but life got in the way... but you've got to seize the day and follow your path! It's lead you right here, right now, right to this Plus Size Mens Clown Costume! Be the clown you were meant to be! The circus is filled with many things like elephants, lions, magicians, and most importantly: clowns. A circus just isn't a circus if it doesn't have any colorful jesters! Because only experts from clown college can be trusted to make people laugh. 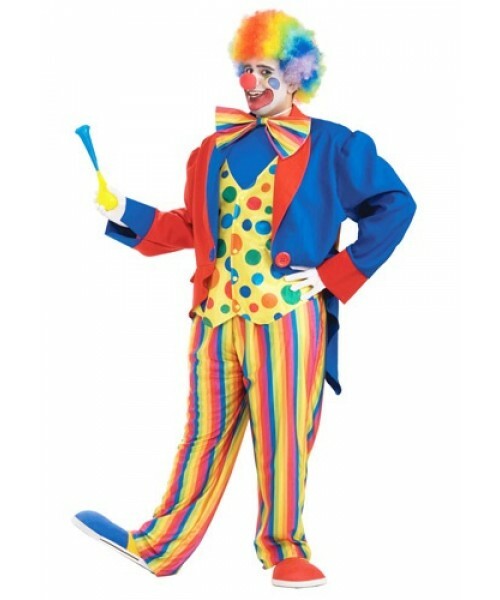 Now you can become one of the funniest people to ever entertain audiences in this awesome clown costume. Just be sure to pick up some of our great accessories and makeup to complete the look. 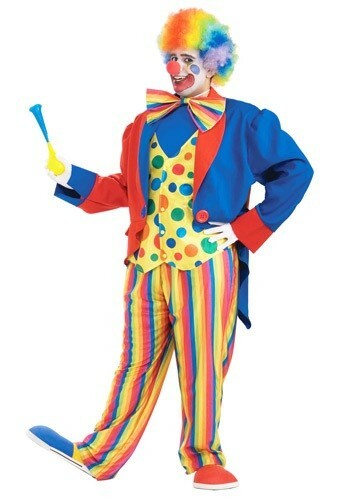 Watch out big top, this clown ain't clownin' around!